Five years ago, the U.S. was in the grips of the worst economic crisis since the 1930s. Nearly nine million jobs were destroyed, household incomes plummeted, and millions of homes were lost. Rubbing salt in our wounds, the bailed-out Wall Street bankers then paid themselves record bonuses. The economy has barely grown since then. The last five years have accounted for the weakest economic recovery since World War II, with growth totaling nine percent since June 2009, compared to 22 percent growth in the first four years after the recession in the early 1980s, (USA Today, 9/11/2013). A socialist alternative is needed more than ever. Despite the weak recovery, the 1% has managed to do better than ever before. The corporate elite celebrated record highs for both the stock market and profits in 2013, while the 300 richest people on the planet increased their fortunes by more than half a trillion dollars. In fact, 95 percent of all the income gains between 2010 and 2012 went to the 1%, and in 2012 the 1% took more than half of all the wealth created in the U.S., their highest share since 1917. For the rest of us, there has been very little recovery. In fact, median household income continued to fall after the recovery began in 2009 and through 2012. While there has been a little growth since then, in 2013 the household median income in the U.S. was still 4.4 percent lower than it was at the start of the recovery. Meanwhile, poverty is at an all-time high, with nearly 50 million people in the U.S. – or one out of six – now living in poverty. In October, the percentage of people employed in the economy dropped to 62.8 percent, the lowest level since 1978. A massive jobs crisis remains. More than six million jobs need to be created to return the economy to pre-recession employment levels. “Short of death or a debilitating terminal disease,” wrote economics journalist Megan McArdle, “long-term unemployment is about the worst thing that can happen to you in the modern world. It’s economically awful, socially terrible, and a horrifying blow to your self-esteem and happiness. It cuts you off from the mass of your peers and puts stress on your family, making it likely that further awful things, like divorce or suicide, will be in your near future. When millions and millions of people are stuck in this debilitating trap, we should be sounding forth the alarm,” (thedailybeast.com, 4/22/2013). “Even before the recession, American-style capitalism was not working for a large share of the population,” wrote former head of the World Bank Joseph Stiglitz. “The recession only made its rough edges more apparent. Median income (adjusted for inflation) is still lower than it was in 1989,” (www.project-syndicate.org). The problems facing “millenials” have been well-documented. Young people today are the second American generation in a row predicted to make less than their parents. Student debt is out of control. Yet a college education is much less of a guarantee of a living-wage job than ever before. 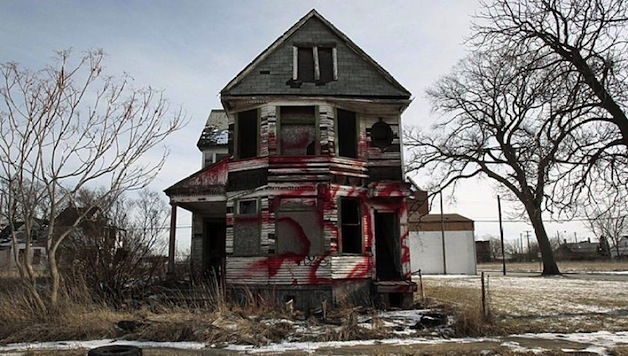 Meanwhile, once-booming cities like Detroit have been ravaged since well-paying union jobs have been largely destroyed. U.S. capitalism, which could boast to being the world’s creditor after World War II, today has its highest levels of personal and government debt ever. This situation is not simply the result of bad policy or greed, as some would argue. Instead, it’s the result of the underlying logic and dysfunction of capitalism as a system. Decisions under capitalism are not planned; they are the accidental result of corporate owners seeking to maximize their short-term profits. Is it any wonder that the needs of the 99% get pushed aside? For example, millions of people who could work have no opportunity to do so because there is no potential for profit to be made off their labor. Yet there is plenty of socially useful work they could do, like rebuilding the rotting infrastructure in the U.S. But Big business would rather stash hordes of idle cash in offshore tax shelters than invest it in society. In the past, capitalism was able to pioneer new markets, techniques, and technologies that developed the productive resources of society. This was due to the early period of vibrancy of U.S. capitalism. But over the past decades, U.S. capitalism has become choked by structural failures. It has not grown so much through investment in real jobs and the real economy, such as manufacturing and the production of goods: Most of the “growth” has been achieved through driving down living standards and the creation of speculative bubbles. While a tiny handful of people have gotten very rich, there are no solutions on the horizon to the problems of daily life for the majority. Capitalism has failed the 99%. Organizing society’s resources in a casino-like system to make billions for the elites in hopes that some wealth will trickle down is a fallacy. If the 99% are going to have a better future, we must fight for a socialist alternative to the crisis of capitalism. Socialists call for building powerful movements now, on the important issues facing working people. Working people have tremendous power when we struggle together in our numbered millions. The last five years have provoked enormous anger, and we have seen the first stirrings of working­class action with the movements in Wisconsin and Occupy, and in the fast­food worker strikes. Huge battles are being prepared. Raise the minimum wage to $15/hour, adjusted annually for cost of living increases, as a step towards a living wage for all. Create millions of full-time, living-wage union jobs through a massive public works program to develop mass transit, renewable energy, infrastructure, healthcare, education, and affordable housing. No budget cuts to education and social services! Full funding for all community needs. Massively increase taxes on the rich and big business, not working people. Socialists fight tooth and nail to help movements win victories on concrete issues, while connecting these struggles to the need for changing society altogether. Walmart uses its massive power to keep out unions and force poverty wages on communities. Big Oil uses its power to block the development of renewable energy. Wall Street gets just about anything it wants. Recently, all Boeing had to do in order to have the entire Washington State establishment line up in support of a record $8.7 billion tax giveaway was threaten to build its new factory in another state. Simply regulating Wall Street and the big corporations will not guarantee working people a decent future. In the past, many reforms were won. But as soon as struggles subsided and the structural crisis of capitalism reasserted itself, the 1% used its power at all levels of society to reverse those reforms! We need to break the power of Wall Street and the big corporations if we want a future they cannot undermine. To do that, socialists call for taking the 500 corporations that dominate the U.S. economy under public ownership and running them democratically for the interests of society as a whole, not for profit. There is a lot of misunderstanding about this. The right wing argues that socialists want “the government” to run the economy. But the government under capitalism is run in the interests of the 1% by its two corporate parties. Instead, we think working people should have their own organizations to democratically control the economy themselves. Imagine if we could democratically decide whether our society should invest trillions of dollars into speculation, war, and oil exploration beneath the polar ice caps or, instead, invest trillions into renewable energy, jobs, health care, and education. The Tea Party argues that socialists want a dictatorship. But this is absurd. Genuine socialism has nothing to do with the totalitarianism of the former USSR. Furthermore, socialists have always been at the forefront of the struggle for democratic rights. Socialists helped lead the women’s suffrage movement as well as the Civil Rights Movement, and we strongly oppose the growing attacks on democratic rights today. In reality, capitalism is undemocratic. How can it be democratic when a few corporations dominate the government and the economy? Socialism would mean a massive expansion of democracy into the day-to-day decisions that affect our lives. Rather than inviting people to vote every four years for one of the two big business parties, working people would be involved in democratic discussion and decision-making every day. On the basis of democratic public ownership, we could develop an overall plan for the economy from the starting point of meeting the needs of all people. By retooling industry and ending profit-driven industrial pollution, socialism can reverse global warming. With modern technology and other vast resources that would be available – freed from the constraints of capitalist dysfunction – we could rapidly transform the world, ridding it of poverty, hunger, homelessness, unemployment, and many other common problems caused by capitalism. This is a vision worth standing for. Join Socialist Alternative today and help us fight for a socialist world.